She formed Motive Studios for Electronic Arts and worked with Visceral Games, another Electronic Arts game studio. She was working on an untitled single player Star Wars video game, but Visceral Games closed in 2017 and the project has been canceled since then. According to Google, 100 studios around the world have already received development hardware for Stadia. 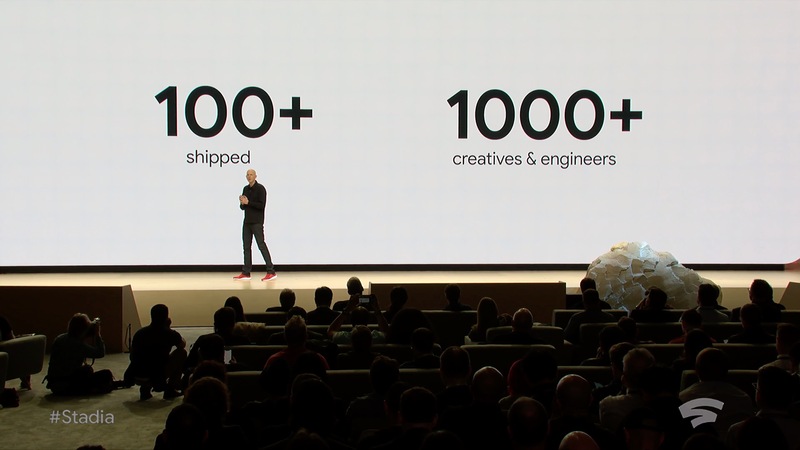 There are over 1,000 engineers and creatives working on Stadia games or ports right now. Stadia uses a custom made AMD GPU and a Linux operating system. Games that are already compatible with Linux should be easy to port to Stadia. But there might be more work for studios focused on Windows games. According to Stadia.dev, the cloud instance runs on Debian and features Vulkan. The machine runs an x86 CPU with a “custom AMD GPU with HBM2 memory and 56 compute units capable of 10.7 teraflops”. That sounds a lot like the AMD Radeon RX Vega 56, a relatively powerful GPU but something not as powerful as what you can find in high-end gaming PCs today.